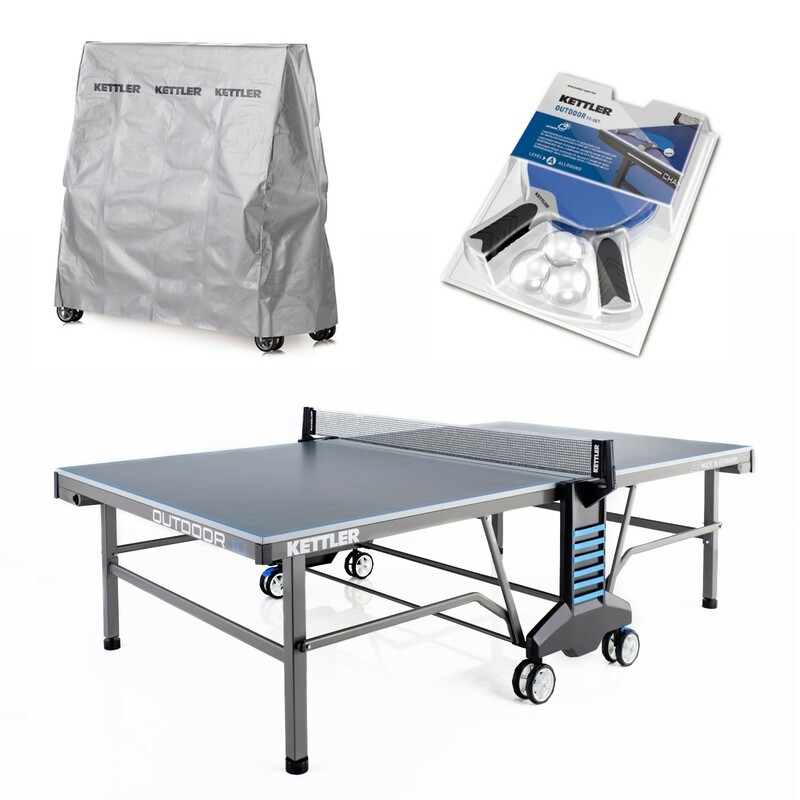 The new Kettler Table Tennis Table Outdoor 10 Set combines robust and reliable technology with the latest ideas and skills of Kettler. Quality Made in Germany. The special set of the Kettler Outdoor 10 includes a bat set and the appropriate protective cover. The protective cover is an additional covering for the actually already weatherproof Outdoor 10. Take advantage of your purchase now and buy this very sturdy table tennis table. 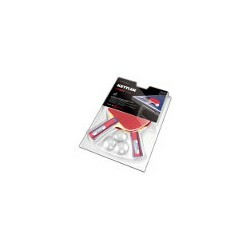 The Kettler Table Tennis Table Outdoor 10 Set is equipped with a sturdy frame made of 50mm square tubing and is very solid and low in torsion. The frame connects the 22mm Alu-Tec-special wood board with the off-road double wheel system. Due to these double wheels it is possible to transport the table on uneven ground and move it to your desired place. Kettler Table Tennis Table Outdoor 10 Set add to comparison list.